Imagine if scientists discovered a toxic substance that increased the risks of cancer, diabetes and heart, lung and liver disease for millions of people. Something that also increased one’s risks for smoking, drug abuse, suicide, teen pregnancy, sexually transmitted disease, domestic violence and depression — and simultaneously reduced the chances of succeeding in school, performing well on a job and maintaining stable relationships? We would do everything in our power to contain it and keep it far away from children right? Well, there is such a thing, but it’s not a substance. It’s been called “toxic stress.” For more than a decade, researchers have understood that frequent or continual stress on young children who lack adequate protection and support from adults, is strongly associated with increases in the risks of lifelong health and social problems, including all those listed above. In the last few decades, advances in biology, neuroscience, epigenetics, and other fields have shed light on the mechanisms behind this phenomenon. First, it’s important to note that toxic stress is not a determinant, but a risk factor. And while prevention is best, it’s never too late to mitigate its effects. 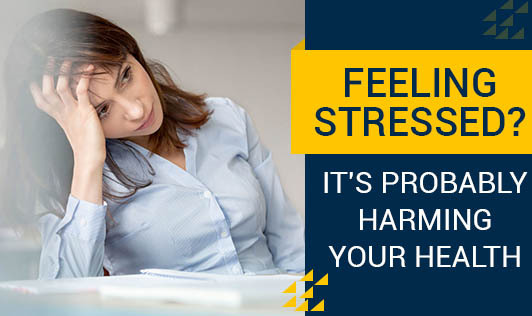 It is also critical to distinguish between toxic stress and normal stress. In the context of a reasonably safe environment where children have protective relationships with adults, childhood stress is not a problem. It becomes harmful when it is prolonged and when adults do not interact in ways that make children feel safe and emotionally connected. Children can be shielded from the most damaging effects of stress if their parents are taught how to respond appropriately. One thing that is highly protective is the quality of the relationship between the parent and the child. Early relationships, where adults are responsive and attentive, are able to buffer the damaging effects on the brain and body. By developing the ability to read a child’s cues, and by being emotionally available on a daily basis, parents can provide buffers that reduce the harmful physiological effects of high stress. A big goal is to help parents develop reflective capacity so they can respond with greater awareness about – and bring more wonder to – the meaning of their children’s behavior every day. Another is to help parents become more effective problem solvers – exercising their executive functioning capabilities, which can be impaired by traumatic childhood experiences. When a child feels loved and valued by a parent, it buffers the circumstances.